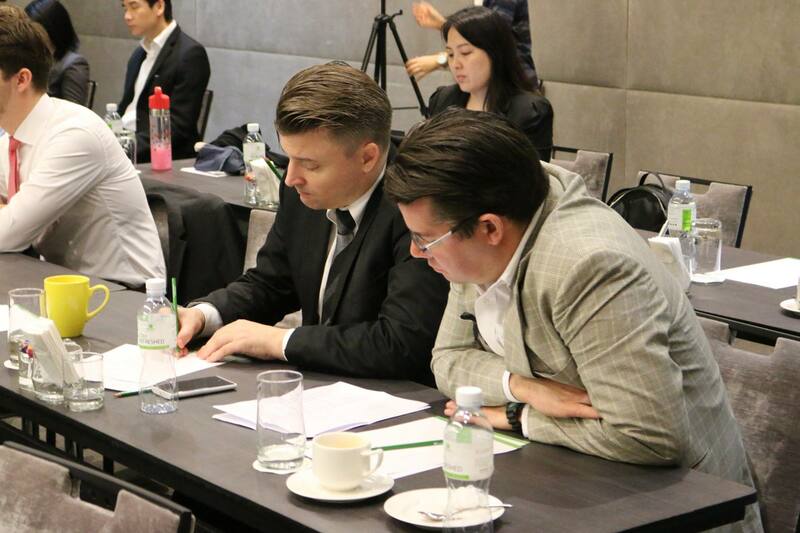 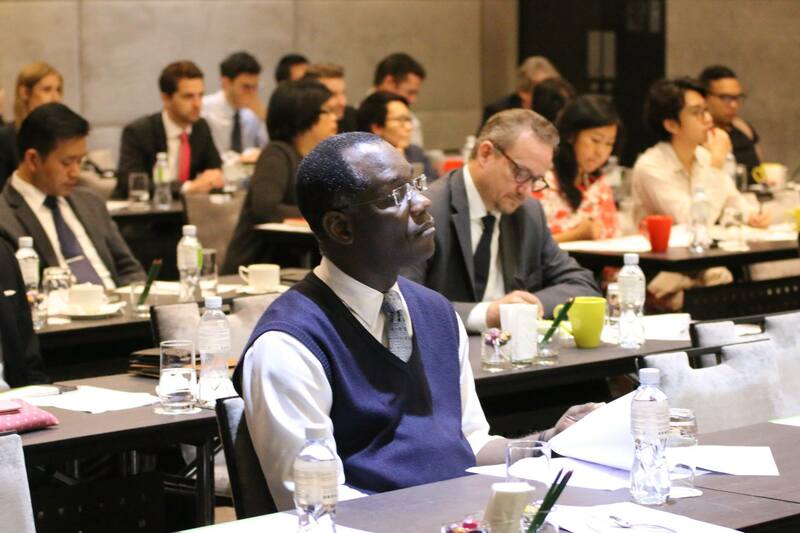 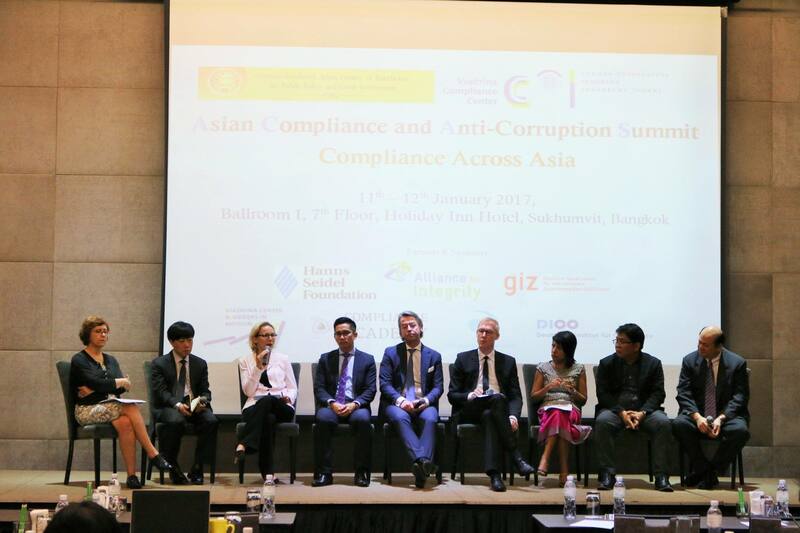 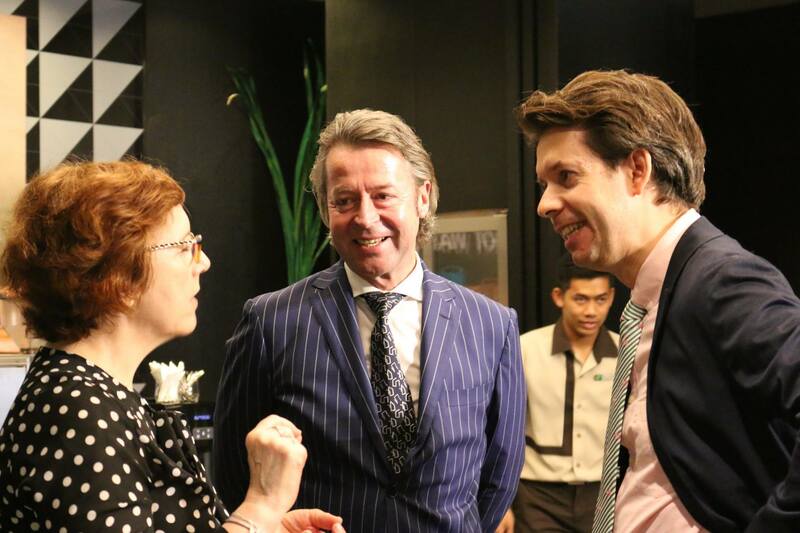 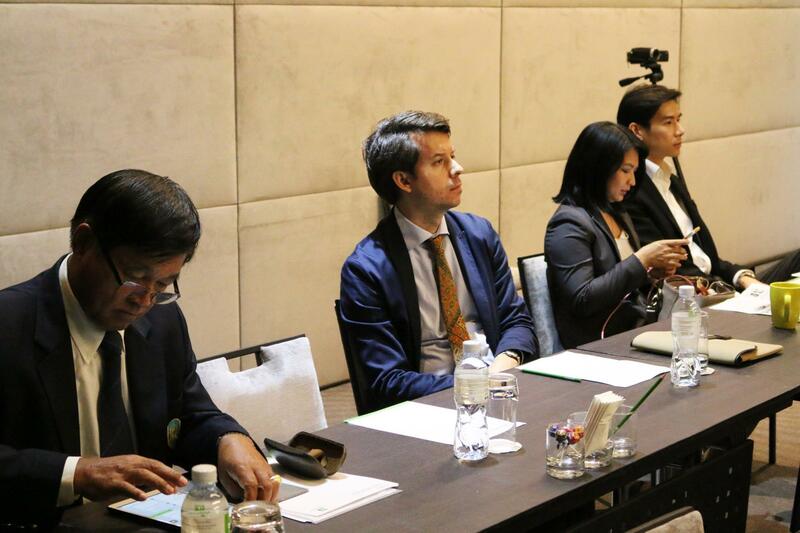 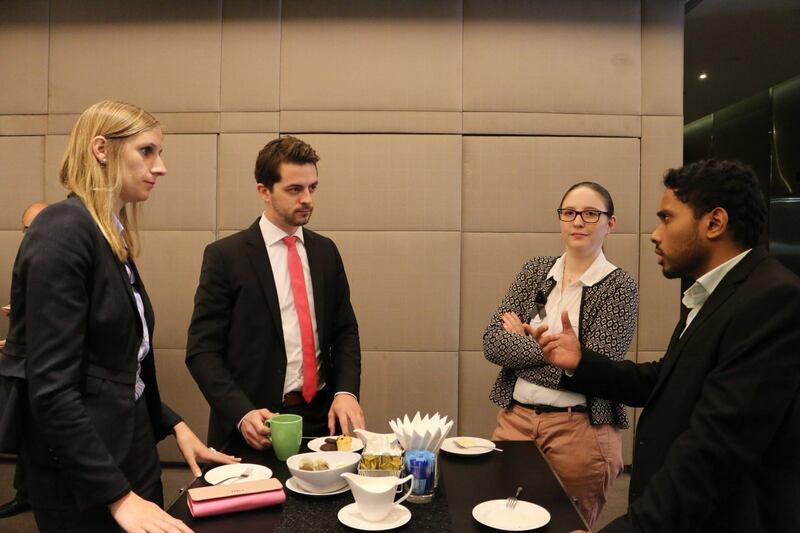 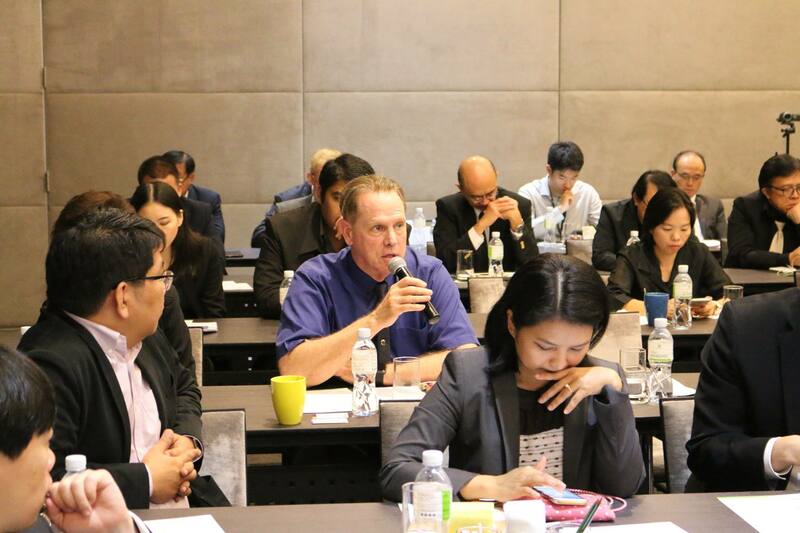 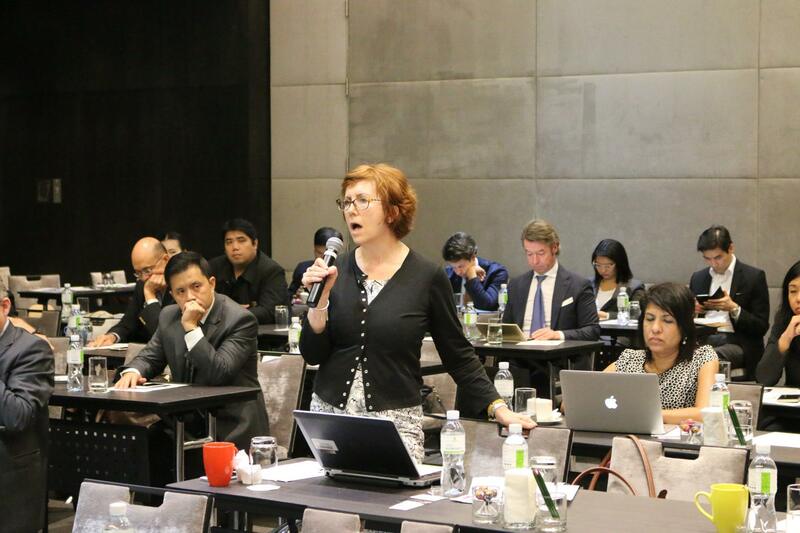 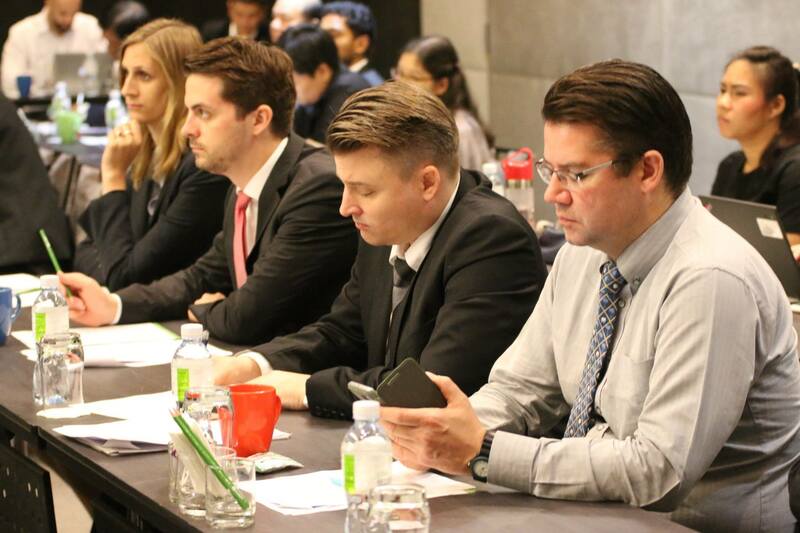 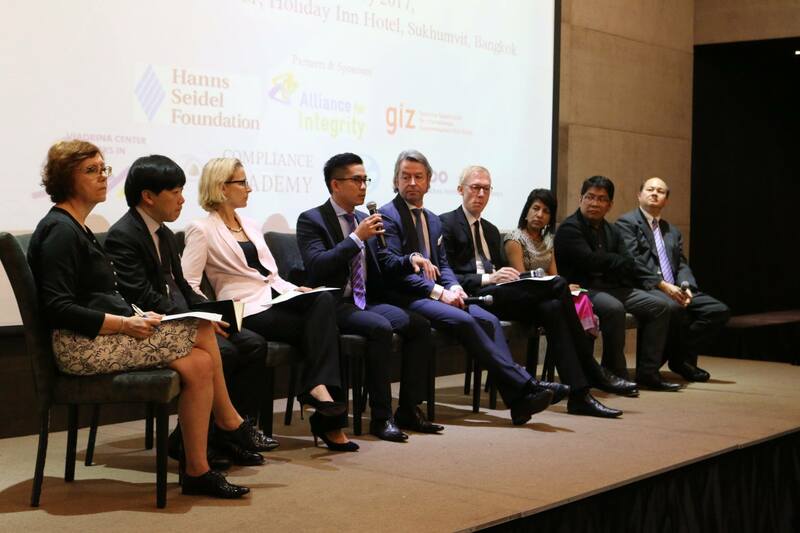 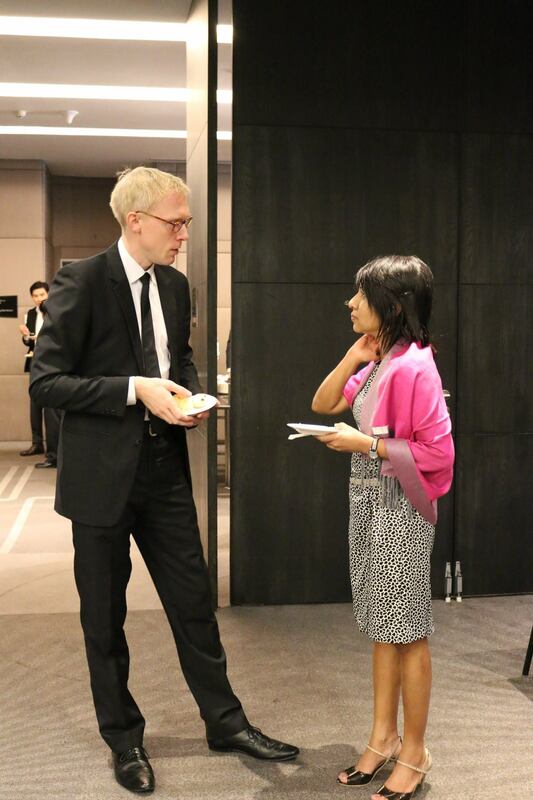 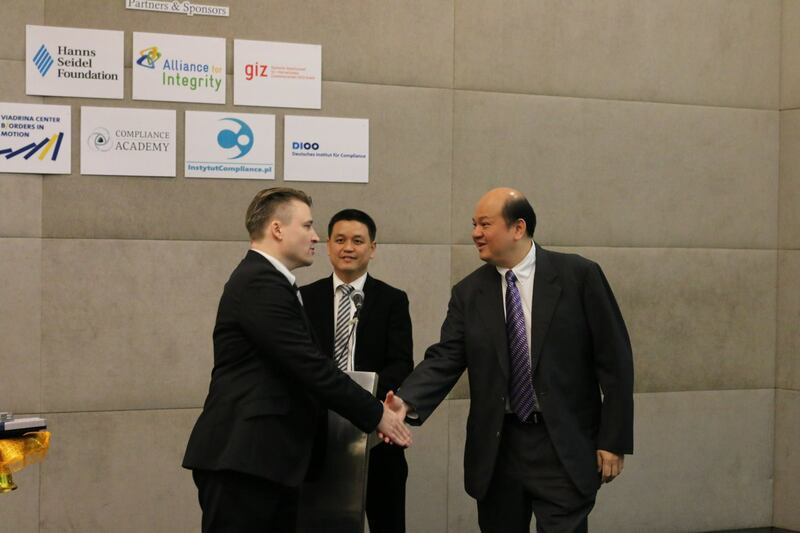 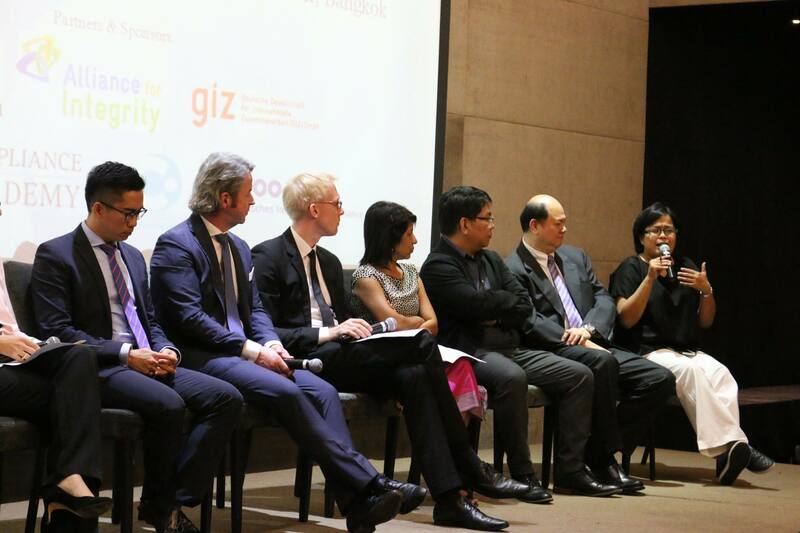 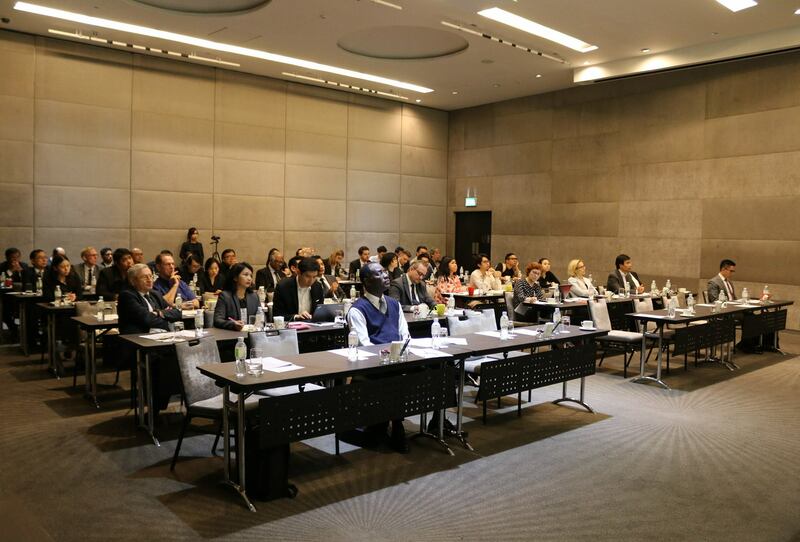 On 11 and 12 January 2017, CPG in cooperation with the Viadrina Compliance Center, European University Frankfurt (Oder), the Alliance for Integrity and Hanns Seidel Foundation hosted the â€œAsian Compliance and Anti-Corruption Summit â€“ Compliance Across Asia at Holiday Inn Bangkok Sukhumvit. 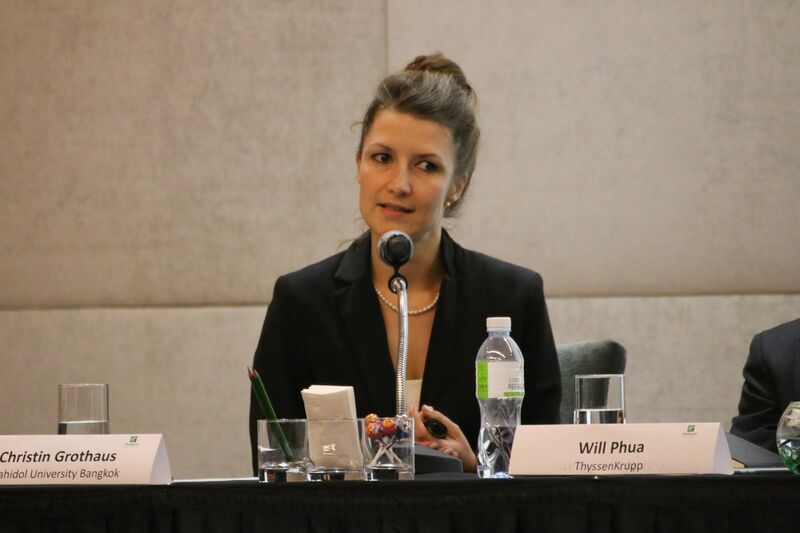 The first conference day was opened with a panel on â€œCross Cultural Compliance and Communicationâ€. 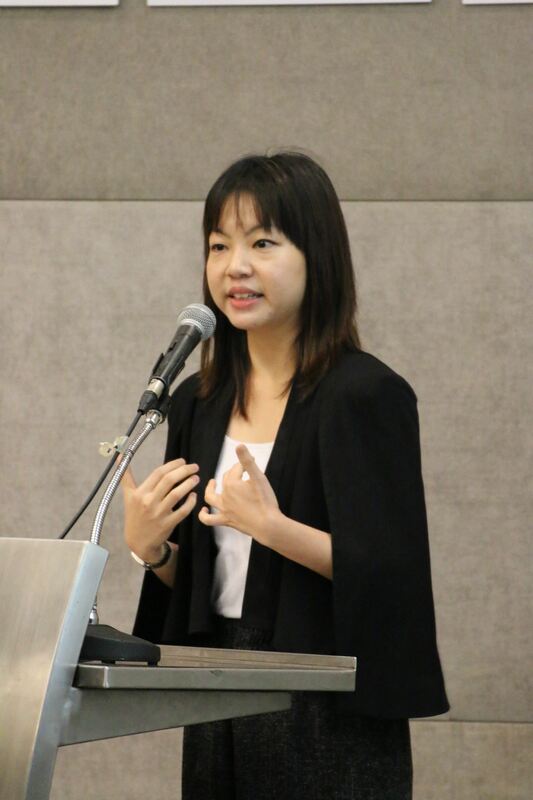 Ms. Christin Grothaus, Lecturer, Mahidol University Bangkok, gave a presentation on the psychological factors influencing cross-cultural communication in professional environments. 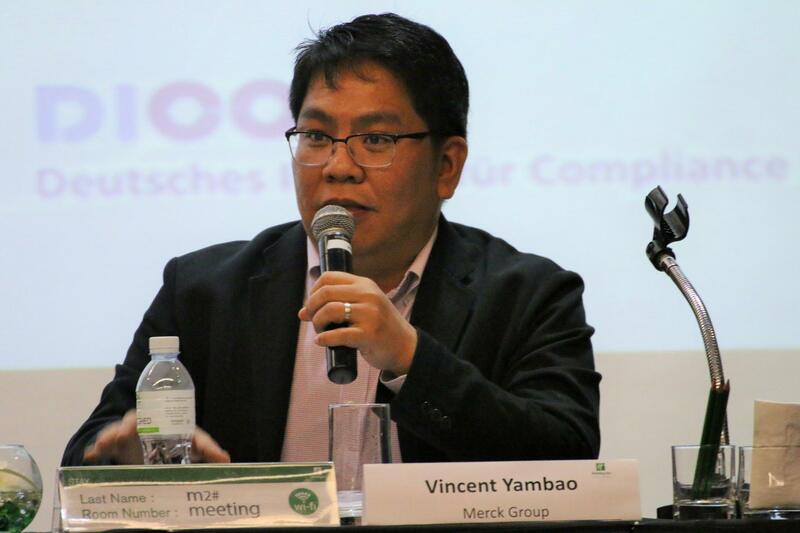 She was followed by Mr. Vincent Yambao, Sub-Regional Compliance Officer, Merck Group, who outlined topics and challenges related to the work of a compliance office in an internationally operating corporation. 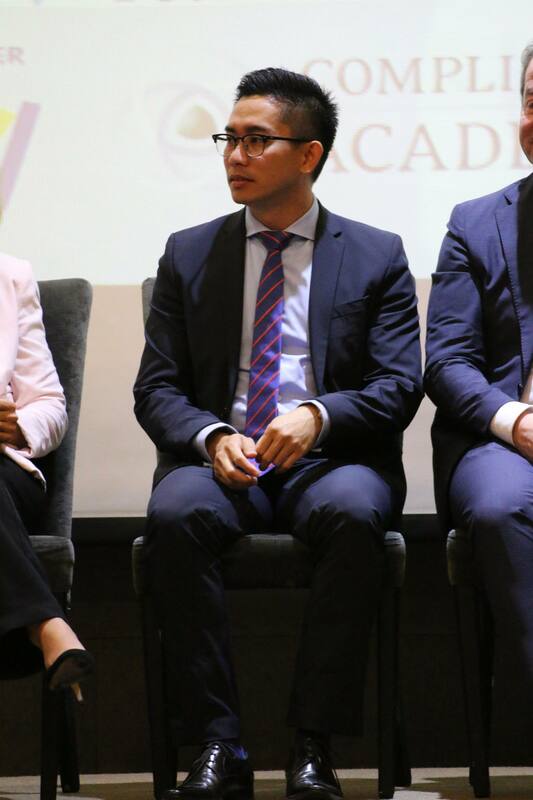 Mr. Will Phua, Regional Compliance Officer Asia Pacific, ThyssenKrupp, provided practical insights into the ways how conflicts between a company’s global compliance standards and regional customs and practices can be solved. 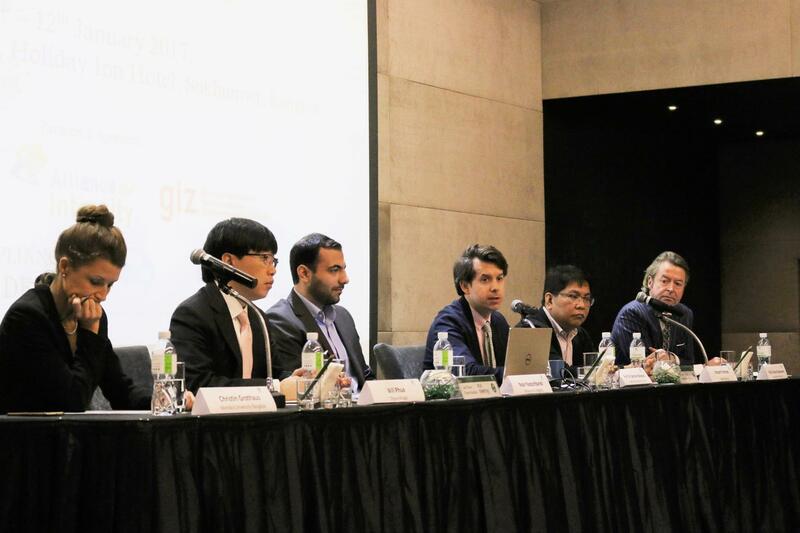 Subsequently, Mr. Noor Naqschbandi, Director, Alliance for Integrity, emphasised that there is no one-size-fits-all model for compliance structures in companies, while also highlighting certain aspects that can be fulfilled even by small companies in order to move towards a culture of compliance. 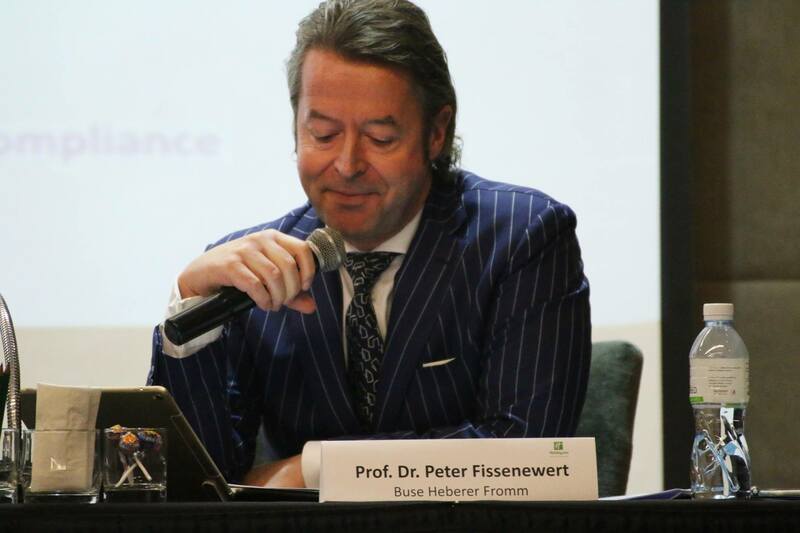 Prof. Dr. Peter Fissenewert, Partner, Buse Heberer Fromm, then presented insights into the practice of designing and implementing compliance management systems, with a particular focus on small and medium-sized companies. 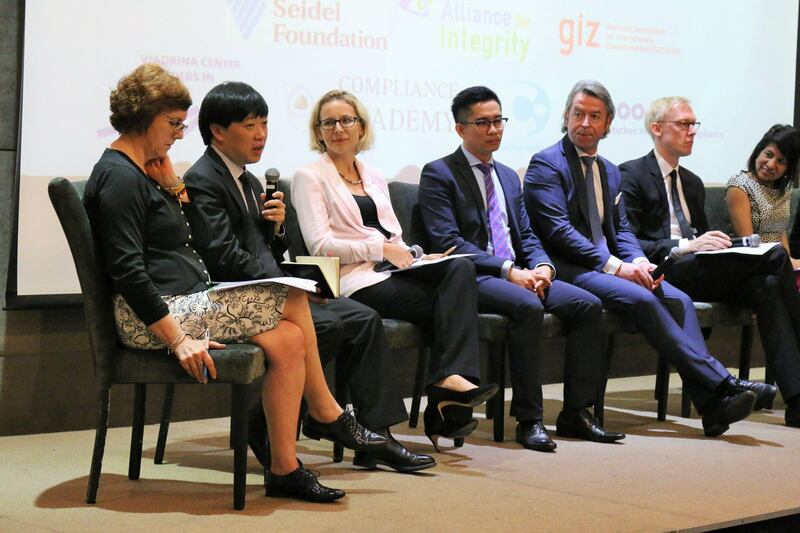 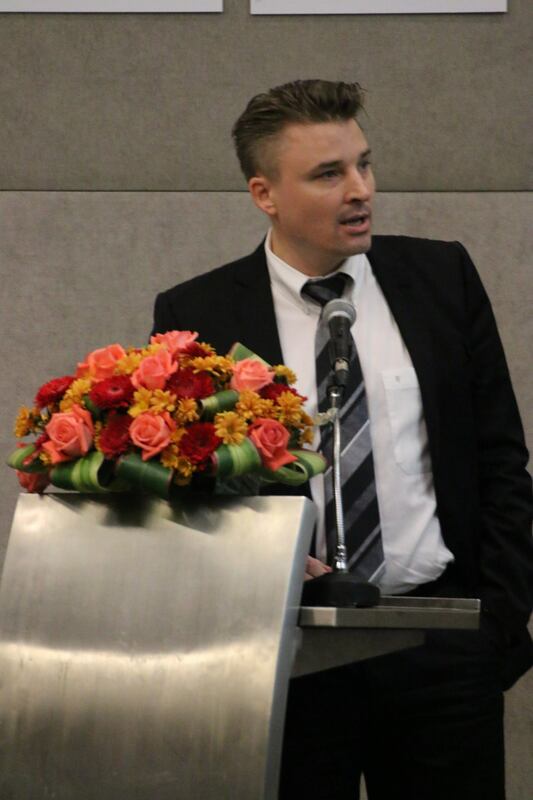 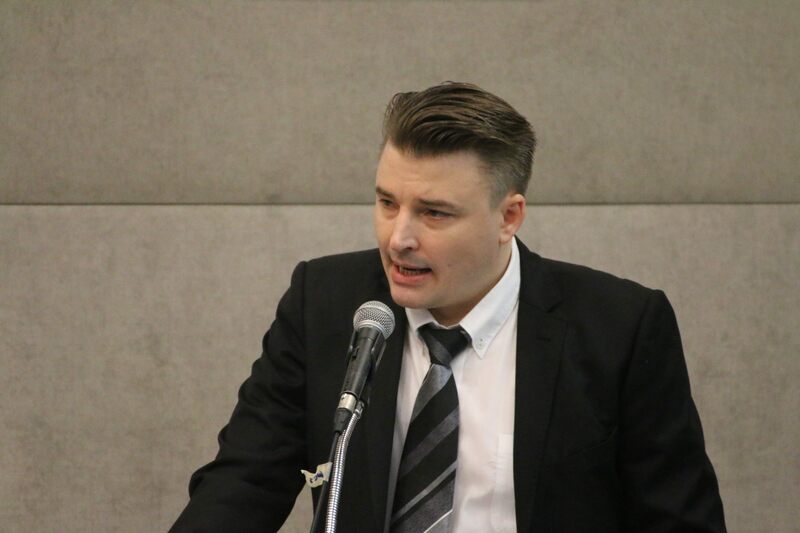 The panel was moderated by Prof. Dr. Bartosz Makowicz, Viadrina Compliance Center, European University Frankfurt (Oder). 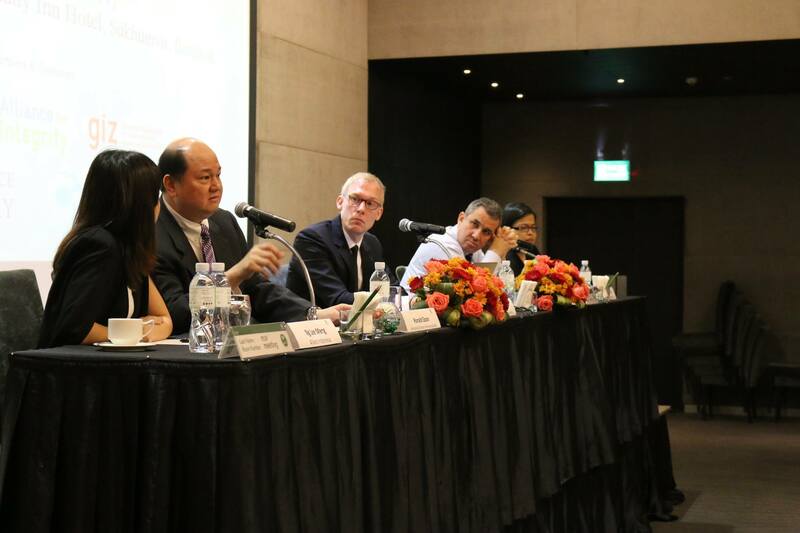 The following panel dealt with issues related to cross Border Controls, Customs and Integrity. 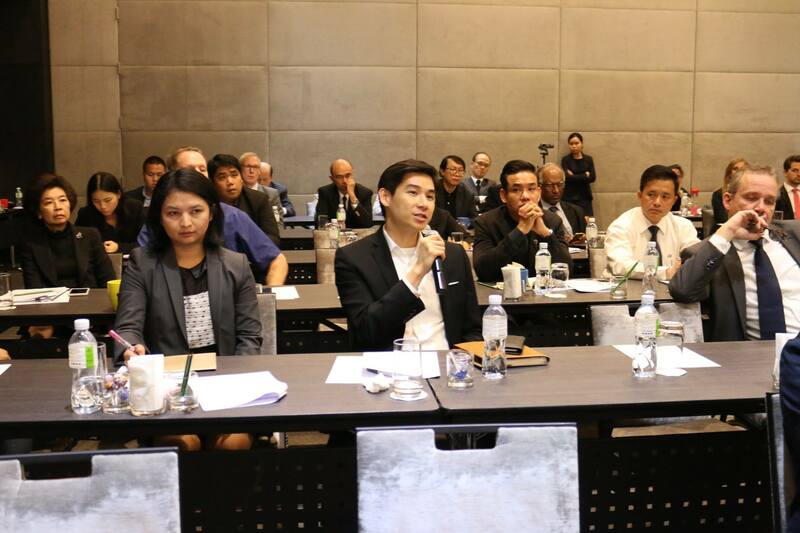 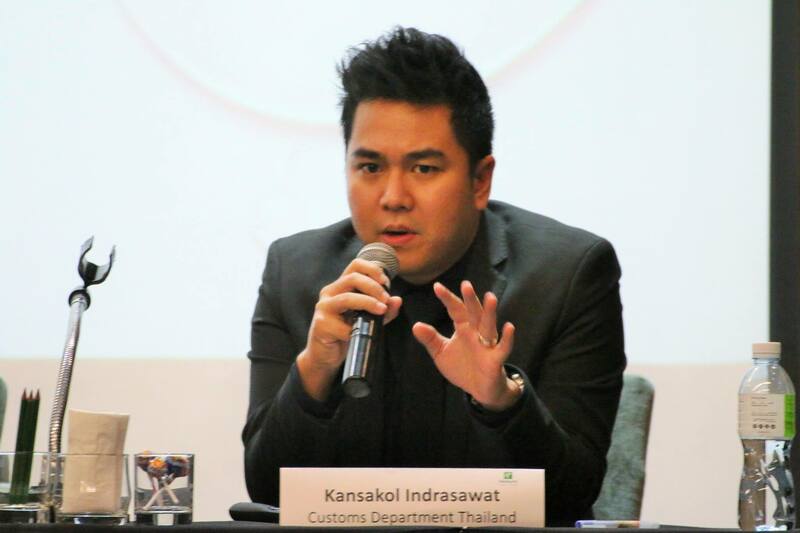 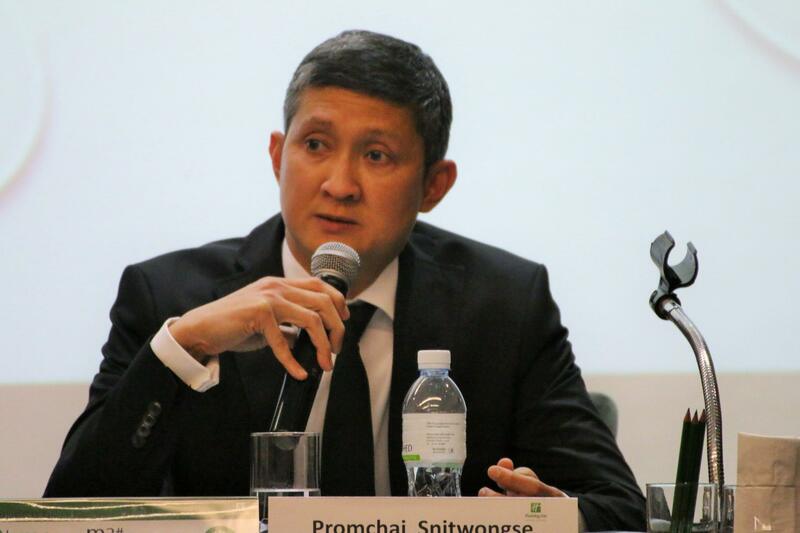 First, Mr. Promchai Snitwongse, Expert on Investigation and Suppression, and Mr. Kansakol Indrasawat, Senior Customs Officer, Customs Department Thailand, provided an overview of customs-related topics related to compliance and anti-corruption. 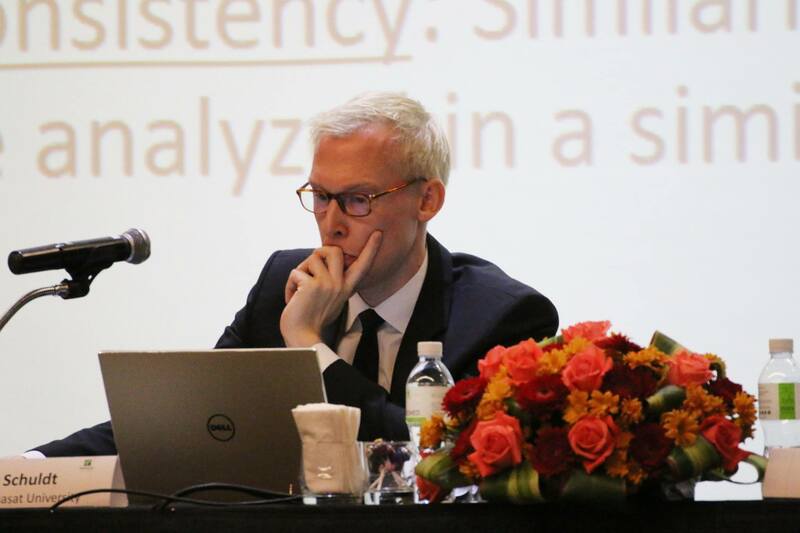 Prof. Dr. Wieslaw Czyowicz, Secretary of State of the Republic of Poland (ret. 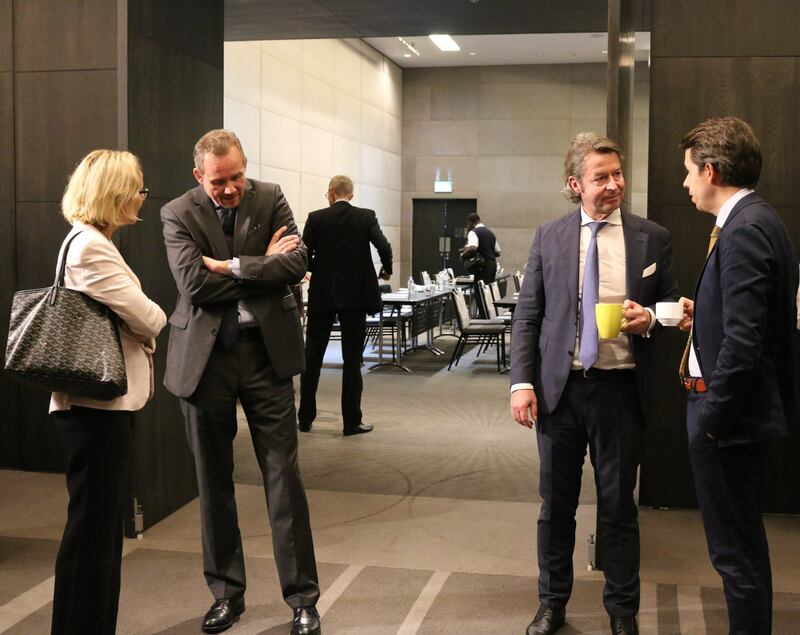 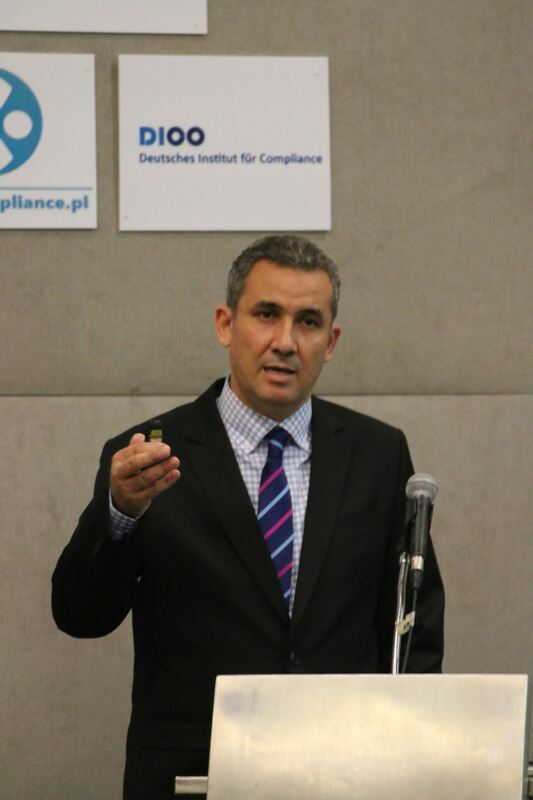 ), Warsaw University of Economics, then particularly focused on the challenges for compliance posed by globalization as well as competing regulatory frameworks. 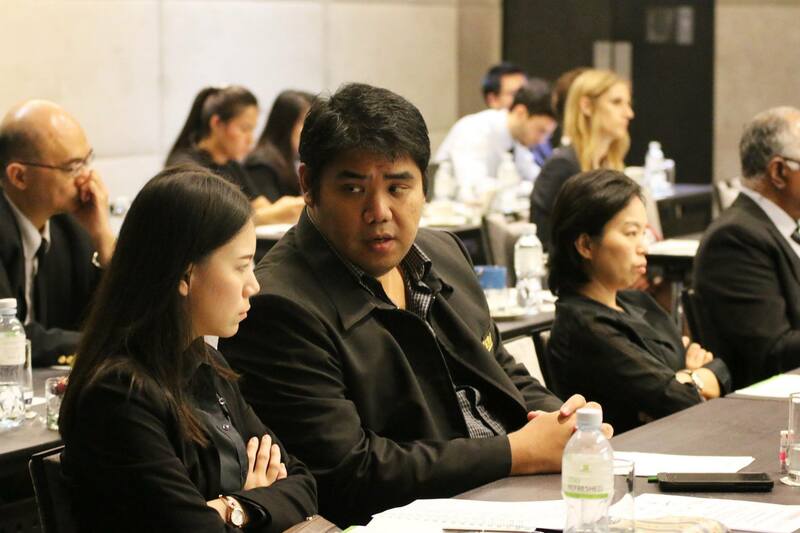 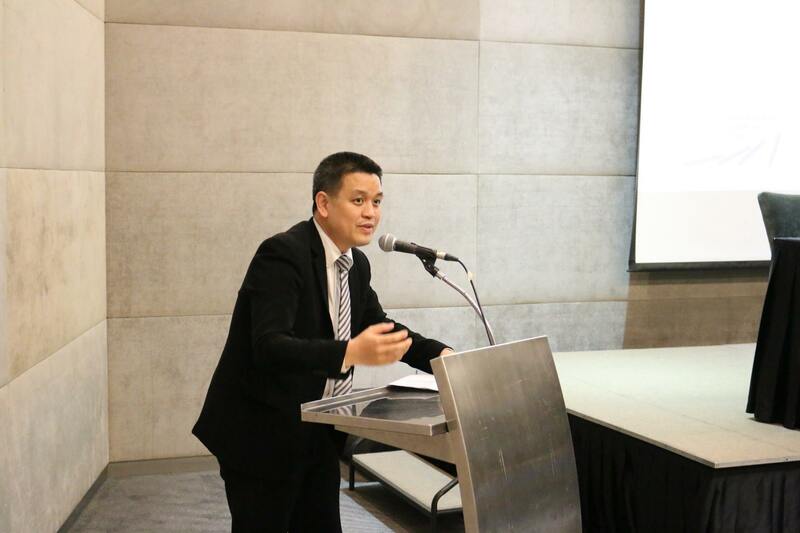 Mr. Lino Arboleda, Export Control Specialist, GE Global Operations, Legal Shared Services Singapore, outlined international and domestic legal frameworks related to export control, highlighting the trade with dual-use goods. 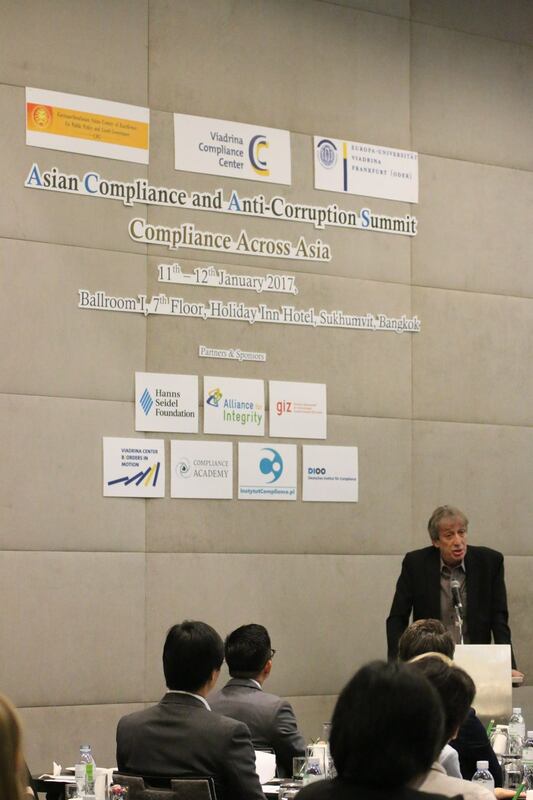 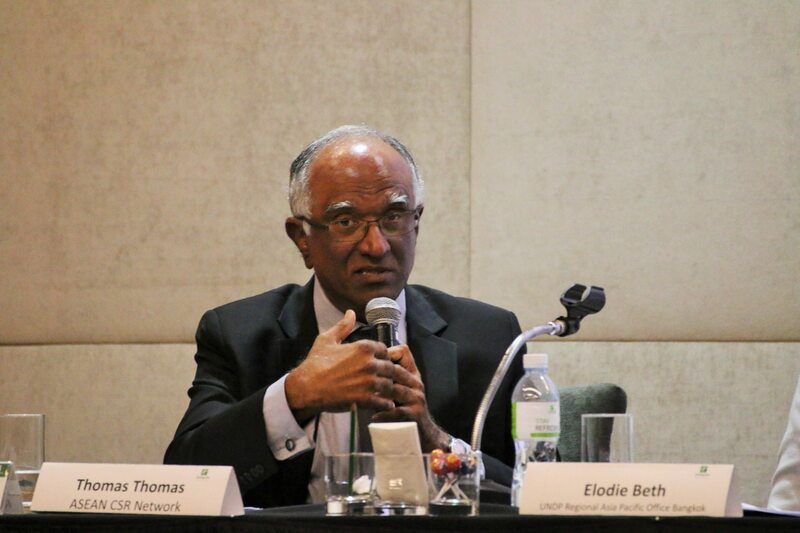 Finally, Mr. Thomas Thomas, Chief Executive Officer, ASEAN CSR Network, presented fundamental concepts and current developments of corporate social responsibility and its relevance for compliance and anti-corruption. 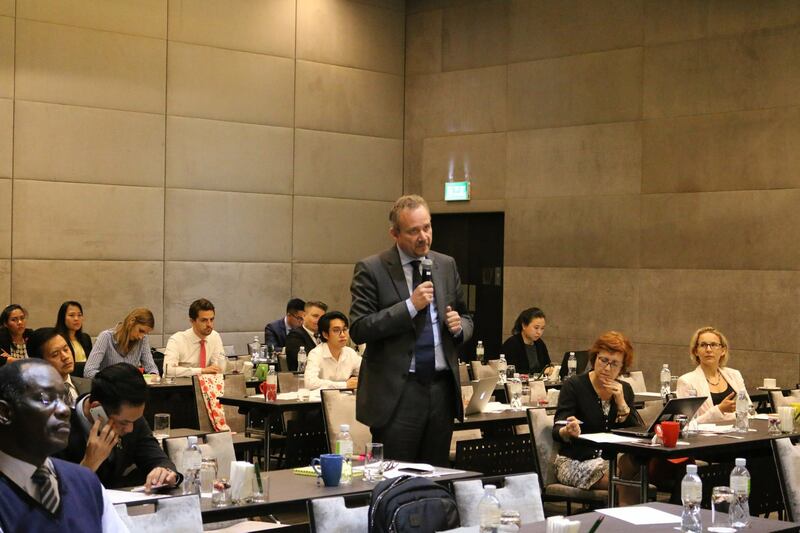 The panel was moderated by Mr. Henning Glaser, Director, CPG. 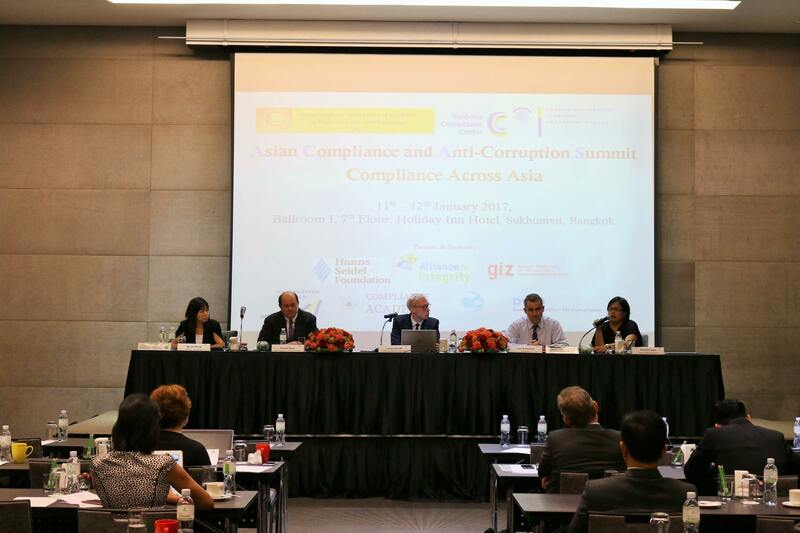 The third panel of the first conference day was titled cross-Border Anti-Corruption Programs. 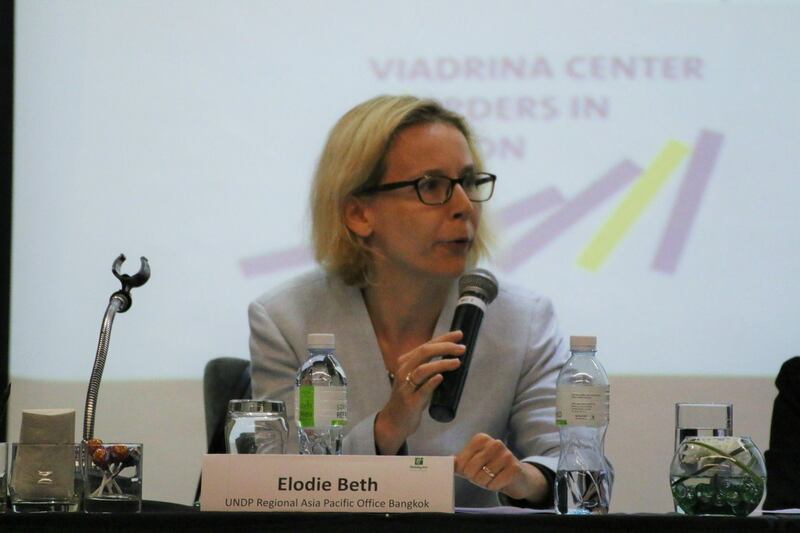 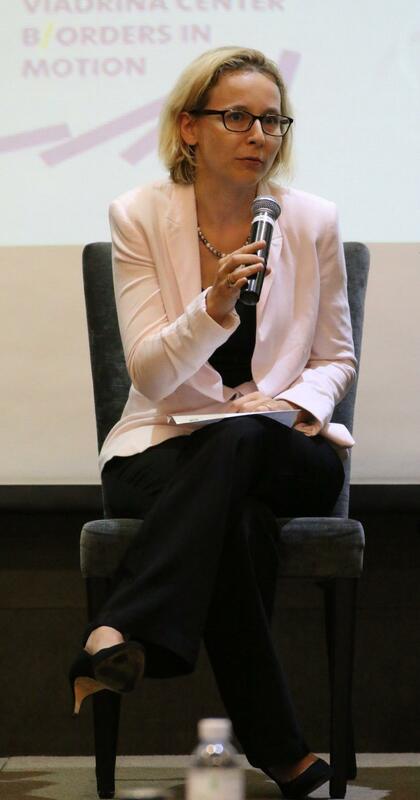 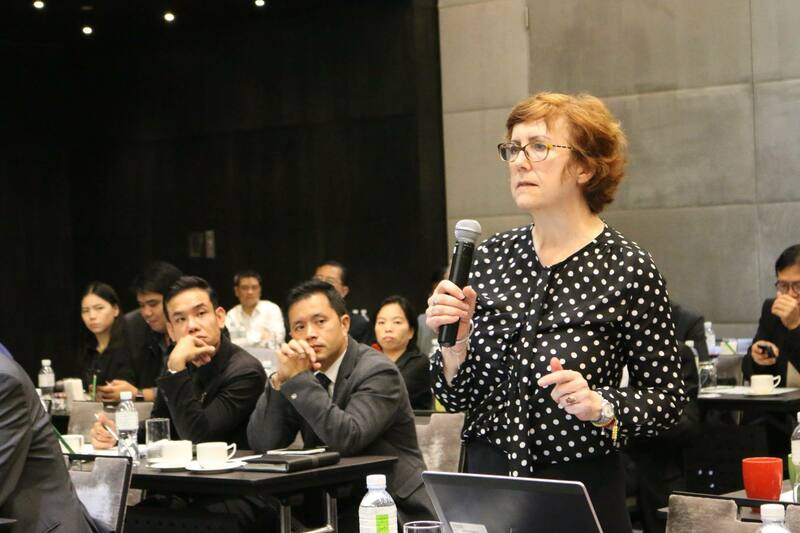 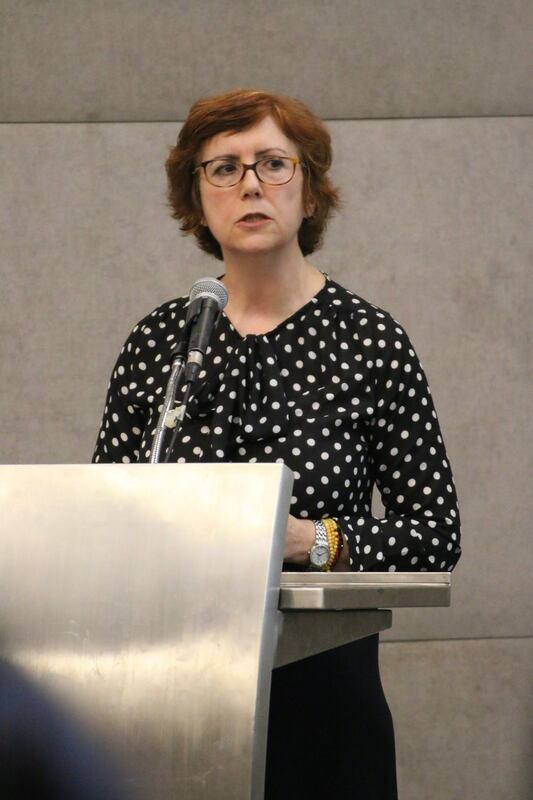 Ms. Elodie Beth, Regional Anti-Corruption Advisor, UNDP, Regional Asia Pacific Office Bangkok, introduced the audience to UNDPs work related to the regional development and promotion of anti-corruption programs. 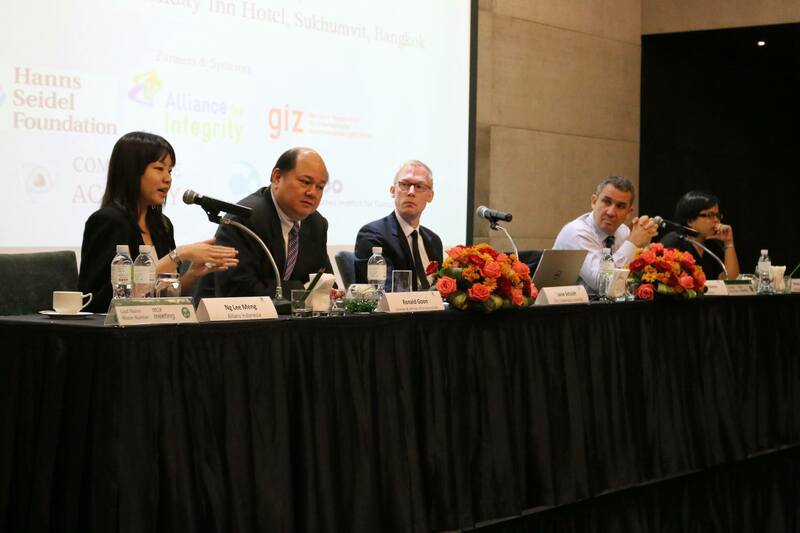 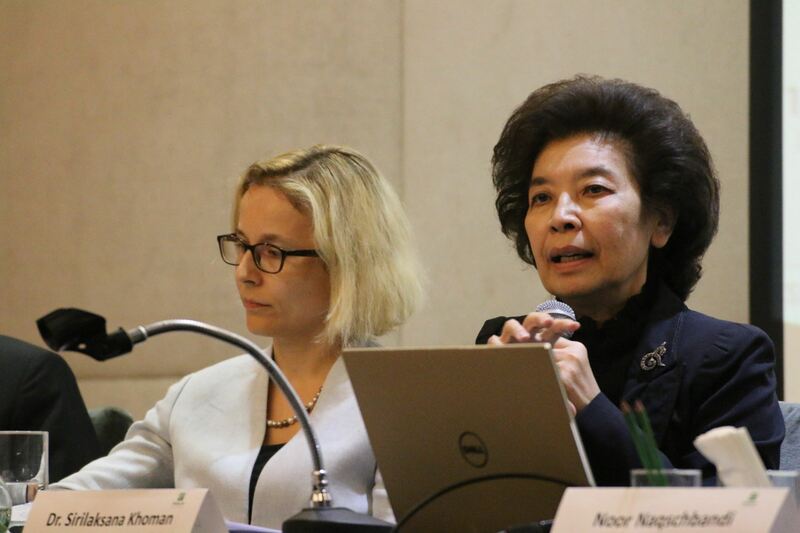 Dr. Sirilaksana Khoman, Chair, Economic Sector Corruption Prevention, National Anti-Corruption Commission Thailand, then provided insights into the work of an anti-corruption officer and the particular challenges related to anti-corruption in the private sector. 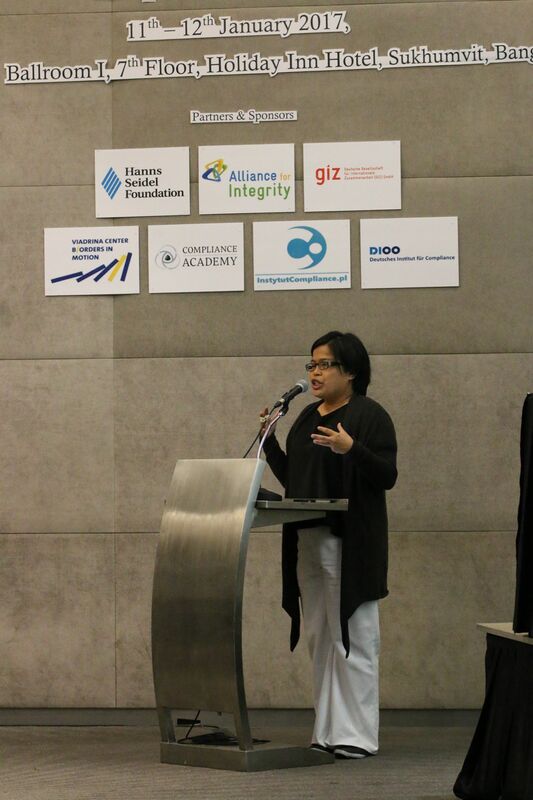 Ms. Christine Uriarte, Senior Legal Expert, OECD Anti-Corruption Division, outlined current international approaches to anti-corruption, highlighting the importance of international standards as laid down in conventions, agreements and common norms. 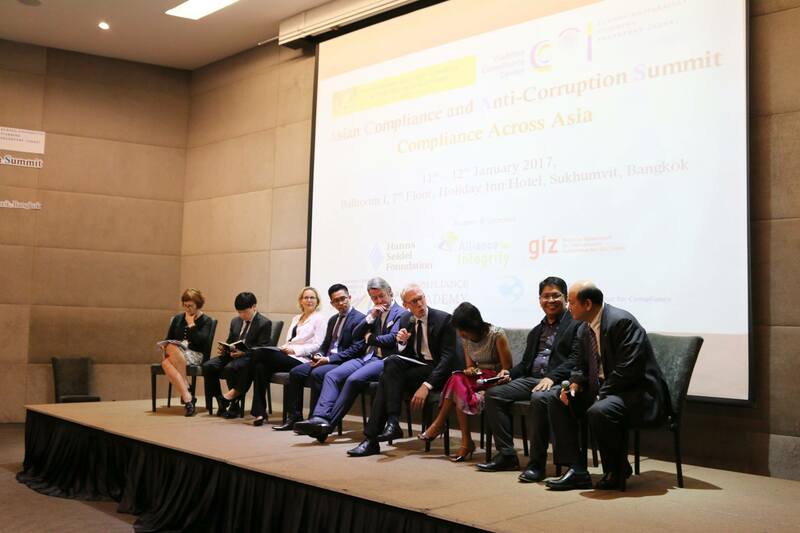 Mr. Leas Bachatene, Chief Executive Officer, ethiXbase, gave a presentation on the practical challenges and solutions for businesses in the field of anti-corruption compliance with a particular highlight on cost-efficiency considerations. 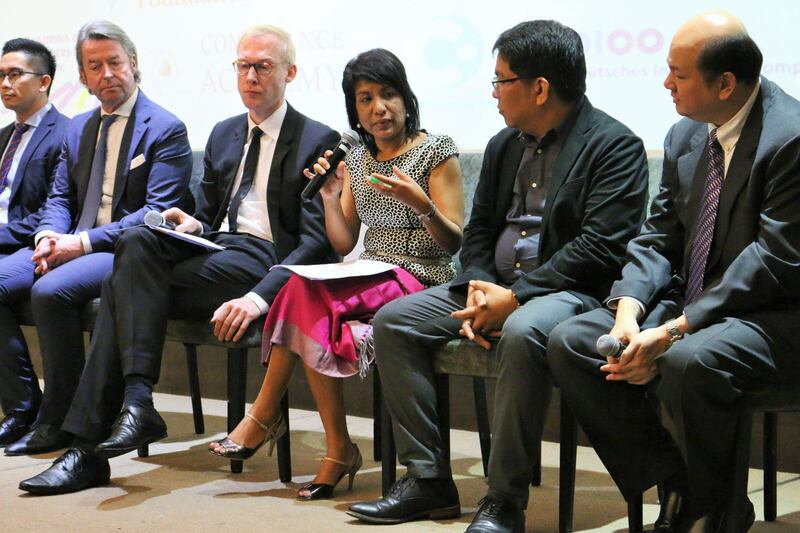 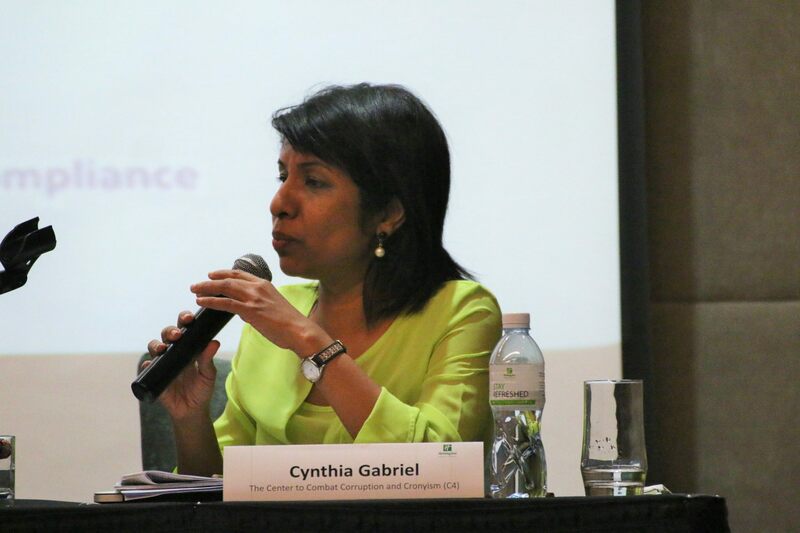 He was followed by Ms. Cynthia Gabriel, Center to Combat Corruption and Cronyism (C4), who presented current issues related to governmental and political corruption from a Malaysian perspective. 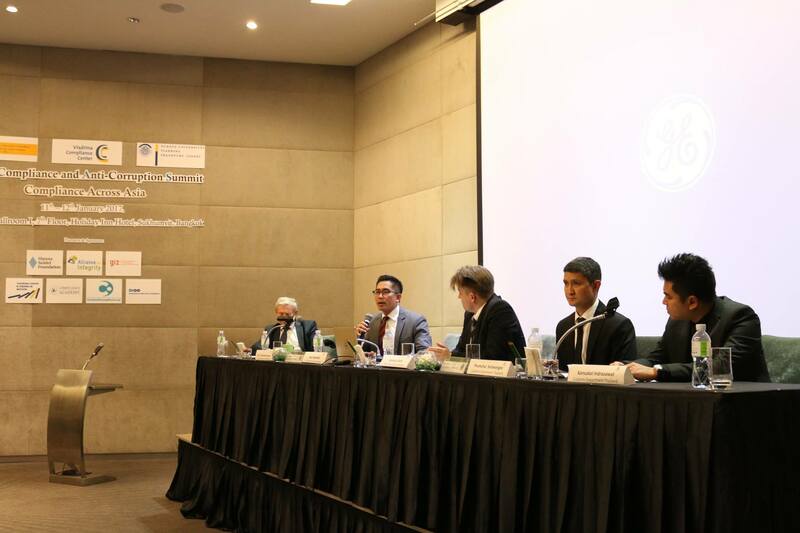 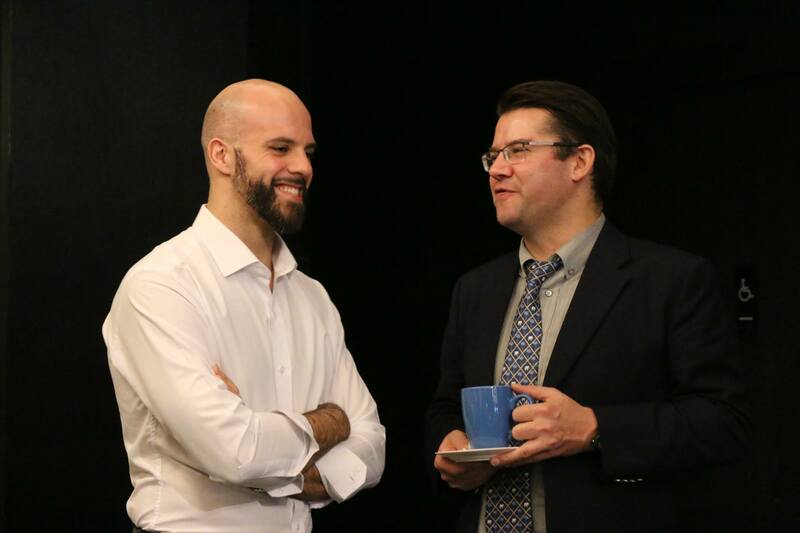 The panel was moderated by Mr. Noor Naqschbandi, Director, Alliance for Integrity. 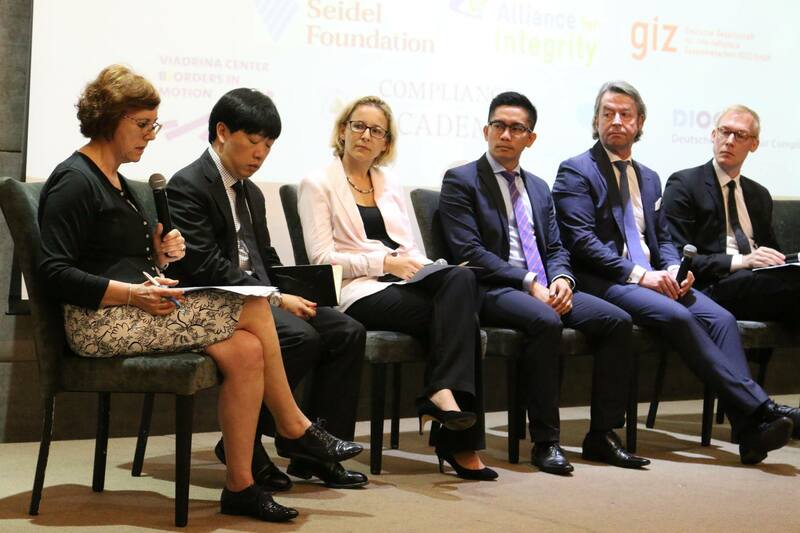 The second conference day hosted a panel on Compliance Third Party Due Diligenceâ€. 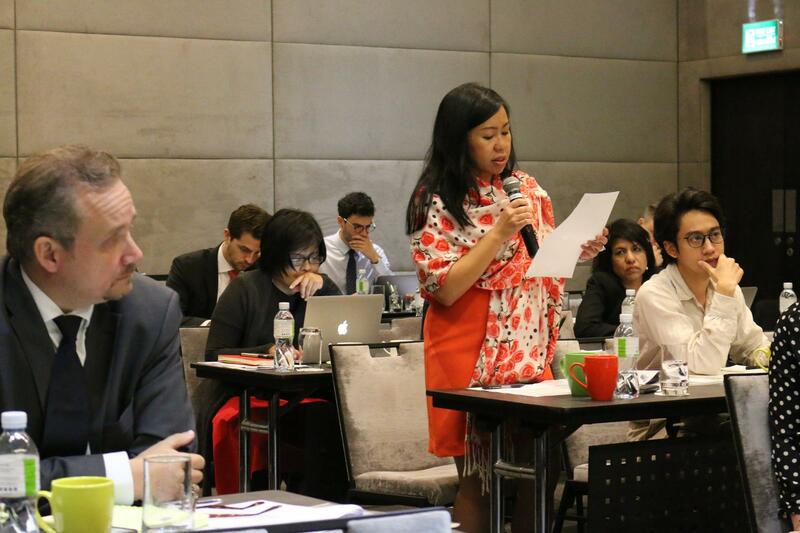 The first speaker, Ms. Ng Lee Meng, Chief Legal and Compliance, Allianz Indonesia, presented fundamental issues and lessons learned related to third party due diligence in an international company. 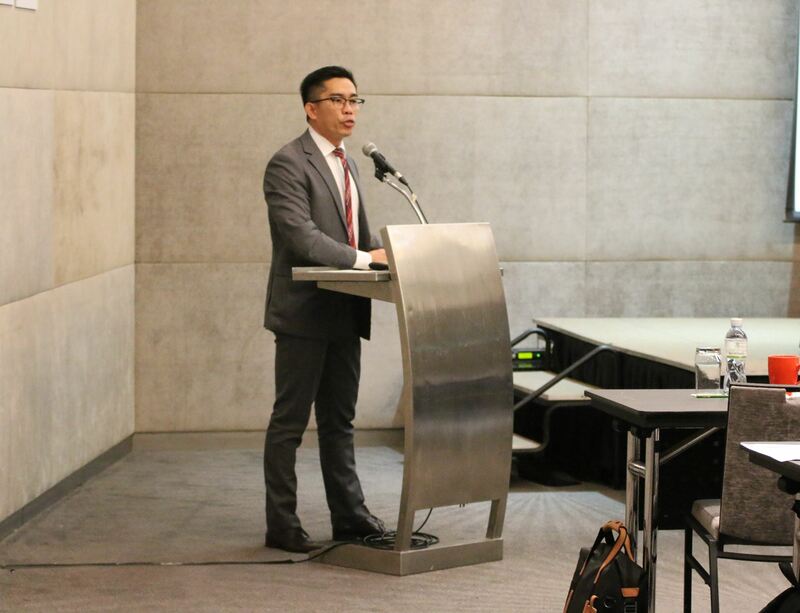 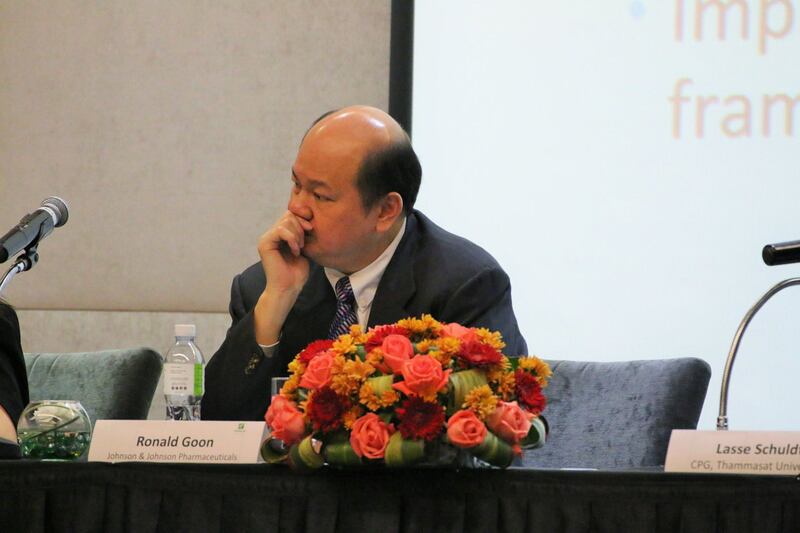 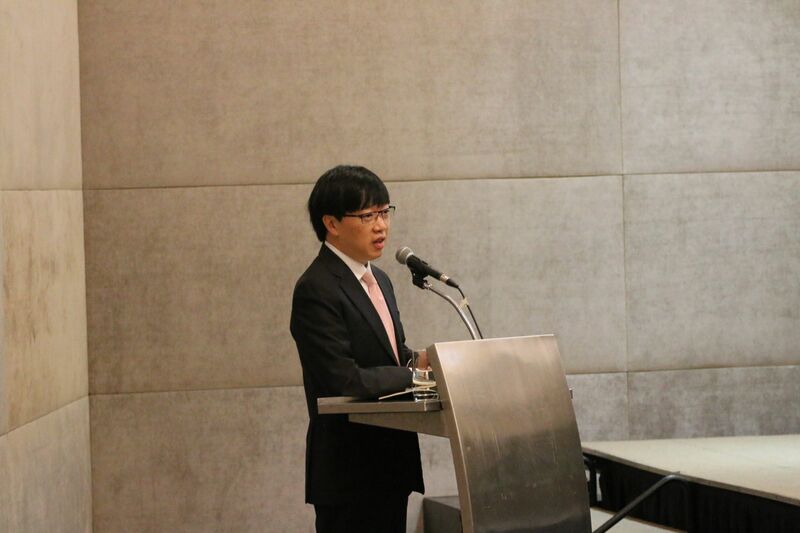 Mr. Ronald Goon, Senior Director Business Practices & Compliance, Johnson & Johnson Pharmaceuticals, provided practical insights and challenges of continuous third party diligence with a particular focus on decentralized distribution schemes. 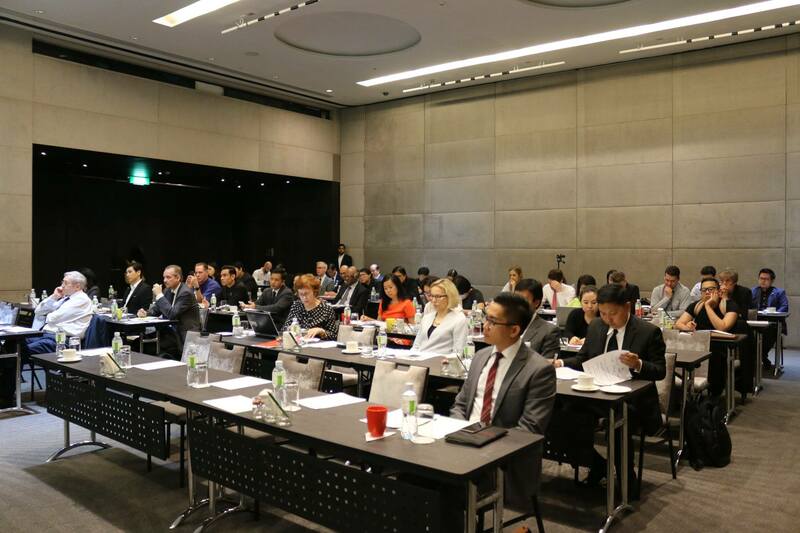 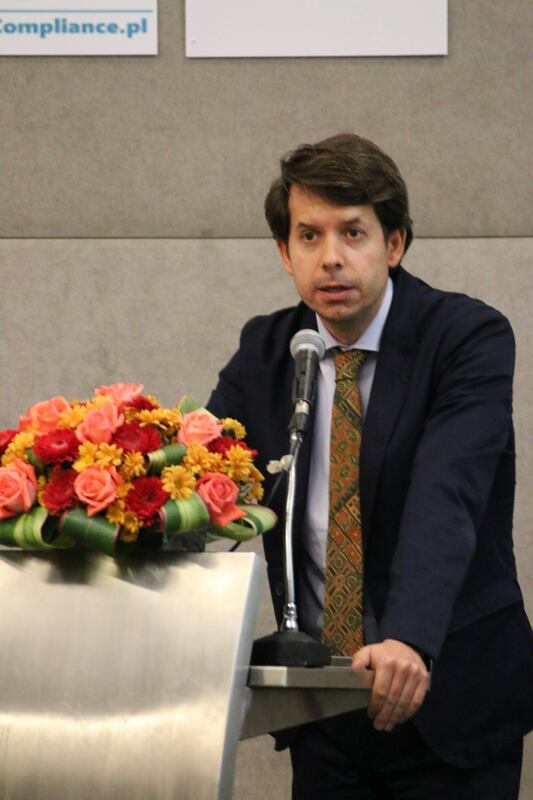 Subsequently, Mr. Leas Bachatene, Chief Executive Director, ethiXbase, introduced different levels of third party scrutiny as well as questions related to the cost efficiency of third party due diligence. 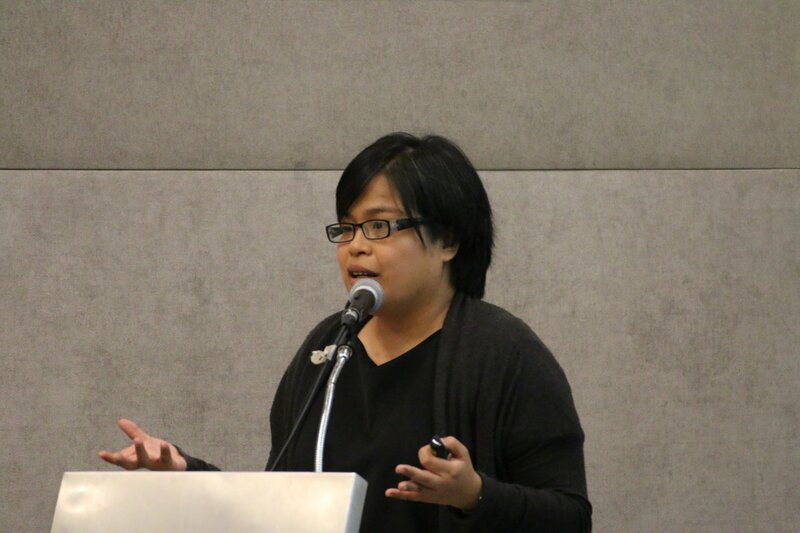 Finally, Ms. Michelle Juan, Business Development Consultant, Asia Pacific, Trace International, outlined best practices in third party diligence with a focus on risk assessment, the notion of â€œred flags and the proper management of third parties. 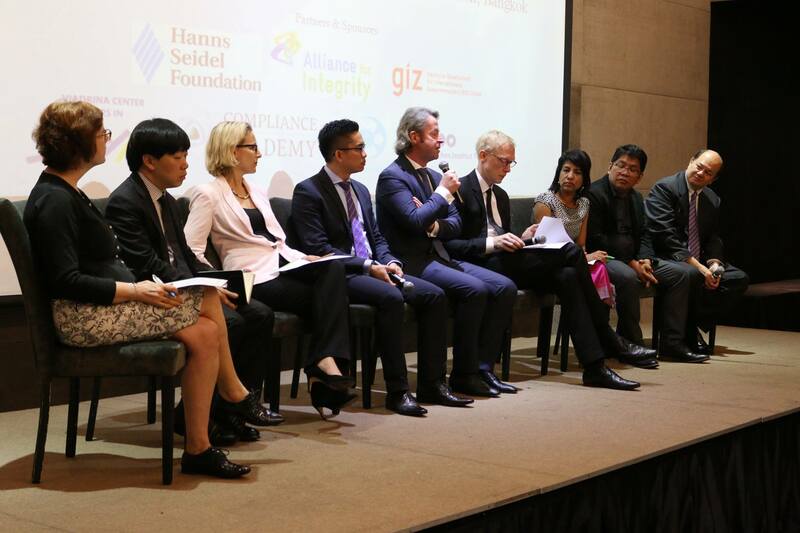 The panel was moderated by Dr. Lasse Schuldt, CPG.